A scam is designed to trick you into giving away your money or your personal details. Scams succeed because they look like the real thing and appeal to your needs and desires. The people who run these scams (scammers) are imaginative and manipulative; they know how to push the right buttons to produce the response they want. Many scams originate from outside Australia and once money is sent overseas it is virtually impossible to recover. Most scams are operated by criminal organisations, who seek to get your money and your personal details so that they can steal your identity. Everyone will be the target of a scam at some stage in their lives. Scams come in many forms and reach you in many ways – by mail, online through e-mail, telephone and door-to-door. While anybody can be the targeted by a scammer, the more effective scams deliberately target the most vulnerable in our community – the frail, aged, young and gullible. Other scammers deliberately target you when you are likely to be busy or tired – such as evening telephone calls or door-knocking you on a weekend. Busting the following common myths will help reduce your chances of being scammed. Myth: All Internet sites are real and legitimate. Fact: Fake websites can easily be set up to look like the real thing. Myth: If they use an Australian phone number, website or email address, then it can’t be a scam. Fact: Scammers deliberately set up Australian telephone numbers, websites and email addresses to use as front to channel money overseas. Myth: There are shortcuts to wealth that only a few people know. Fact: They wouldn’t be telling their secrets to you. Myth: Scams only involve large amounts of money. Fact: Some scammers target large numbers of people for small amounts of money. It all adds up to a lot if they succeed. Myth: Scams are always about money. Fact: Some scams try to steal your personal information to sell or get more than just your money. Myth: Governments vet all companies and businesses, therefore any offers you receive are from legitimate organisation. Fact: Scammers are criminals. They act illegally and can contact you from anywhere in the world. Myth: The ‘Do Not Call’ Register stops scammers contacting you by telephone. Fact: Only legitimate businesses observe the Do Not Call Register. Scammers are criminals who will call you even if you are registered on the Do Not Call Register. Myth: Abusing scammers discourages them from contacting you again. Fact: Scammers sell your personal details to other scammers. Abusing a scammer only confirms that you are prepared to interact with them. 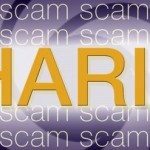 What types of scams are out there? 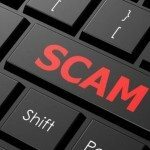 Computer virus scams (the Microsoft scam) – these scams ring you to ask you to turn on your computer and give you certain information, so that the scammer can take control of your computer and get your banking details. Government/bank refund scams – these scammers say they are from a government body or a bank and that you are owed money, usually a refund of over-charged fees or taxes. You will be asked to pay a fee and supply your banking/personal details, but the refund money will never be deposited in your account and the scammer has your details. Banking, credit card and online account scams – these scams aim to get you to hand over your banking and personal information by sending you emails, often saying they are from your bank, asking you to verify your account details, including your password. For tips on protecting your financial information and avoiding banking scams. Unwanted services – these scams will usually send you an email or a message on your mobile phone offering you a service. When you reply you may purchase a service that you don’t want or can’t stop. A common example of this scam is the mobile phone ring tone scam, which can also lead to you unknowingly agreeing to further unwanted ring tones. Online gambling – these scams usually involve betting on horses, but could include other forms of gambling, through a computerised system. Some people have paid up to $20,000 for the system only to find it didn’t work and they had lost their money. Health and medical scams – these scams offer products or services that will cure your health problems or offer a simple treatment. These cures and treatments do not work. Dating scams – there are many legitimate online introduction agencies and dating websites. However just as many websites are scams, promising contact with people who don’t exist or who only want you to send money to them. Lotteries, sweepstakes and competitions – these scams will tell you that you have won a competition or lottery and will try to trick you into handing over your banking and personal details in order to claim the prize. Remember, if you haven’t entered, you can not win. Pyramid scams – these types of scams rely on the recruitment of members. Members will pay a fee to join, with the membership fees paid to another member who will be paid out of the scheme. Once people stop joining, members stop getting paid out and if you are caught in the pyramid you will lose your money. Golden investment opportunities – usually these scams will offer you investment opportunities based on secret inside knowledge they have, all you have to do is provide banking and personal details to sign up. You could also be offered early access to your super or promised large tax deductions or refunds. Never send money or give credit card, account or other personal details to anyone who makes unsolicited offers or requests for your information. Don’t rely on glowing testimonials: find solid evidence from independent sources (not those provided with the offer). Don’t open unsolicited emails or click on a link provided in an unsolicited email as it will probably lead to a fake website designed to trick you into providing personal details. Never dial a 0055 or 1900 number unless you are sure you know how much you will be charged. If you believe you have been scammed, you need to do five things immediately. Cease any contact with the scammer. The scammer will never refund your money. Write down any details you get about the scammer – such as the telephone number, email address, website address or car registration number if the person has knocked on your door. These details can help Fair Trading and other agencies detect scammers, or close down the ways in which scammers are contacting people. Report the scam immediately to the agency below most relevant to the type of scam. Every day you delay, more people may be scammed. Tell your friends and family about your experience and what you have done about it.